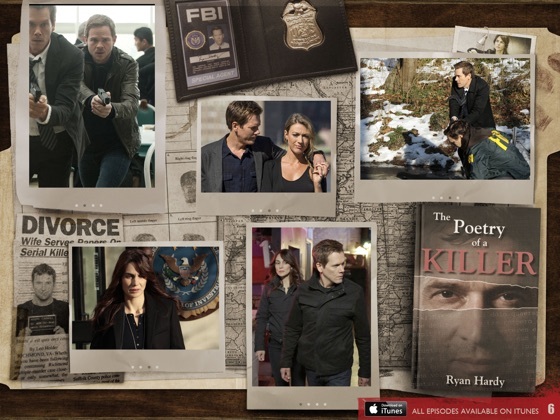 Dive into FOX's hit psychological thriller, The Following. 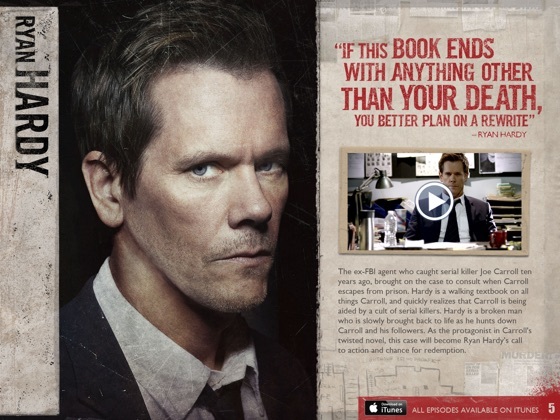 • Explore the story behind former FBI Agent RYAN HARDY, notorious serial killer JOE CARROLL, and the ever-growing web of murder around them with exclusive artwork, photography, and video. 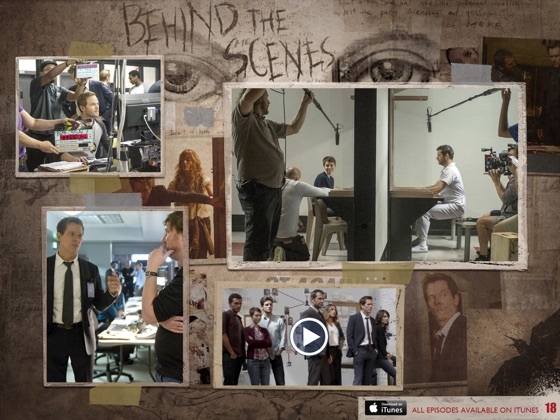 • Go behind the scenes with testimonials from Creator/Executive Producer Kevin Williamson andExecutive Producer/Director Marcos Siega. • Watch video interviews of the show's two lead actors – Kevin Bacon and James Purefoy. • Relive some of the show's most iconic scenes. • Read critic and fan reactions to the show's outstanding acting, writing, and directing. 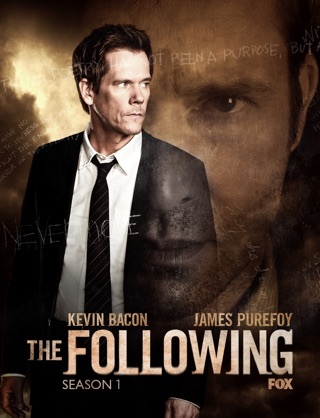 THE FOLLOWING © 2013 Warner Bros. Entertainment Inc. All Rights Reserved. FOX™ and © 2013 Fox and its related entities. All Rights Reserved. Same problem with the endless twirling. Not worth the time. I only hate it because I can't see it. It took forever to load and now it won't open. It's on my iBooks shelf and the little twirly circle just twirls and twirls. Another dissapointment. I love this book! What a well done and visually cool and engaging iBook! It makes me love the show even more!